Dunkirk is one of the rare war movies that spends the entirety of it’s running time in conflict zones. This may sound normal in a war movie but normally there is some sort of an aside like scenes on the homefront, flashbacks from the lead or even a life before a war. Dunkirk is deliberately made to show the war from beginning to end and leaves us with wondrous visuals, a uniquely executed story but a lack of character development. There is little story in Dunkirk in terms of a large sequence of events. The battle of Dunkirk is the entire movie. According to the man himself, Nolan intentionally made Dunkirk have a lack of character development and one could easily speculate why. I believe that he wanted Dunkirk to have a ring of authenticity in which characters are not explored as they are focused every minute on survival. Is this a mistake? Who knows? Dunkirk was an excellent movie either way. I believe it is more emotionally resonating in a war film if there were characters you get to know and therefore care more. I am reminded of Hacksaw Ridge in which Andrew Garfield fleshed our a memorable war hero called Desmond Doss who fought on and off the battlefield for his faith and everyone around him. Dunkirk has very few discernible characters let alone well-developed characters that I saw in Hacksaw Ridge. Despite that one main complaint, I still recommend seeing Dunkirk because aside from little character development, Nolen does everything you could possibly do for a movie of this nature. He does achieve setting the realism being under attack. Instead on focusing on the casualties he focuses on survival. I would argue that Dunkirk is more sensory than anything else. The visuals are something that you need to see on the big screen. Every location from land, air, and sea is something that is breathtaking. For most war movies you will see shades of green, in Dunkirk, you will see it in shades of blue. There are many wide shots of the planes hovering above the sea which was the best visual in my opinion. The sound of the planes swooping in the land are piercingly loud and music literally sounds like ticking time bomb. The visuals and sound mixes beauty and tension together to create a unique war movie. I also like the cohesiveness of Dunkirk despite the multiple perspectives. Generally, when I see movies that decide to this I normally dread it. That is because the movie comes off like an unfocused mess. In Dunkirk, all of the transitions from the multiple story threads feel like they together to make one overarching story. I don’t have to think “what was that subplot about 40 minutes ago?” and I actually know when the transitions occur unlike in Manchester by the Sea. The smooth transitions in Dunkirk reminded me of the smooth transitions of the movie Nocturnal Animals in that it feels like one movie and they were all coherent. Baby Driver is going to be a cult movie because of all the interesting quirks targeted at a young audience. One of these quirks is how they introduce Baby. All you need to know about Baby is the cadence and rhythm of his walk to the beat of his music as he orders coffee. We know who he is while nothing was said and it is damn fun to watch. Yes, Edgar Wright has done it again. His movies are both style and substance intertwined with multiple genres and Baby Driver is no different. Wright is famous for the Cornetto trilogy (Shaun of the Dead, Hot Fuzz and The World’s End) This time, Wright has created another miniature film festival contained in a movie. Baby Driver reminds you of the classic car movies of yesteryear for today’s audience. Baby (Ansel Elgort) is a professional getaway driver that has been forced into a life of crime by Doc (Kevin Spacey) Baby repays his debt to Doc when he has something new at stake: a waitress (Lily James)who is the woman of his dreams. Baby Driver is a template for great escapist movies. It relishes in minuta while constantly focusing on the story. It is constantly fun and engaging and many elements of Baby Driver does that with the brilliant dialogue, the fleshed out performances from the entire cast, the stories twists, and turns, the stripped back realistic action sequences. 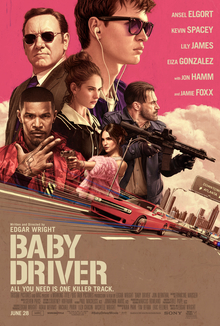 All of this makes it feel like a fun and creative low-budget thrill ride.Another excellent element I have noticed is that Baby Driver is the rare movie that used rock music as the tone and not merely as a gimmick. Lots of movies (including Marvel movies) use retro songs in scenes as if to scream out “this is the scene that you need to have fun in” Baby Driver uses the music to serve the purpose of creating a rhythm in all the scenes. The music is a seamless flow like a movie should be instead of coming off like a rigid formulaic structure. What also works seamlessly in Baby Driver the genre shifting from action to comedy to romance and how well all these elements work together. What is also surprising is the unpredictability of the changes, yet the transitions are so smooth that the changes never feel out of place. Never is Baby Driver a predictable film in a mad libs fashion like “Insert joke here” “Insert catchy song there”. You never knew what was coming around the corner while covering a variety of styles and tastes. 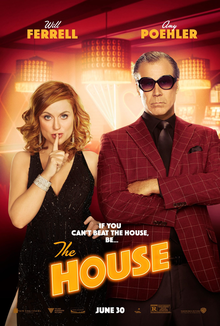 This is especially entertaining as a person who has an eclectic taste in movies. Spiderman lives up to the hype that seems to come with most Marvel installments. There are several cool action sequences in addition to some good acting and storytelling. All of this makes it fun to watch. With the exception of a couple of surprising moments, Spiderman Homecoming is exactly what you would expect. 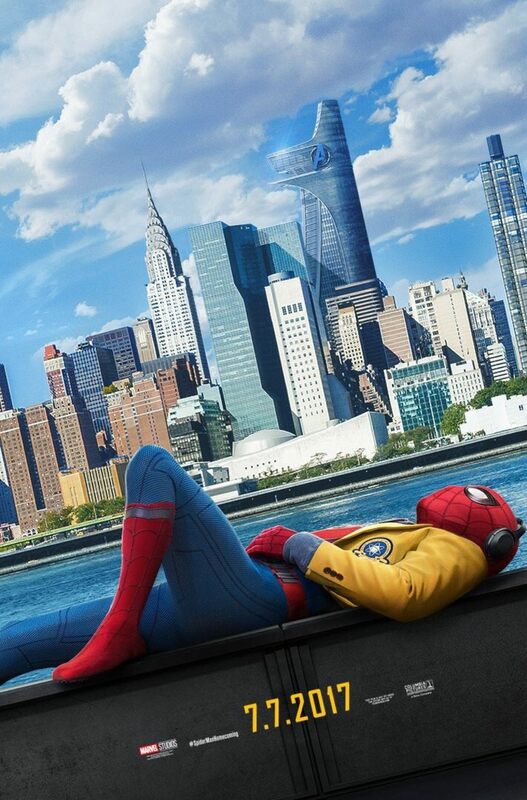 Spiderman Homecoming starts off with a teenage Peter Parker/Spiderman (Tom Holland) being told to resolve minor disturbances in the city by Tony Stark (Robert Downey Jr.) believing that Parker is not ready to be an Avenger. That is until Spiderman sees a superweapons deal taking place that will lead him to a superweapons-like cartel led by Vulture (Michael Keaton) to which Spiderman feels he needs to stop. 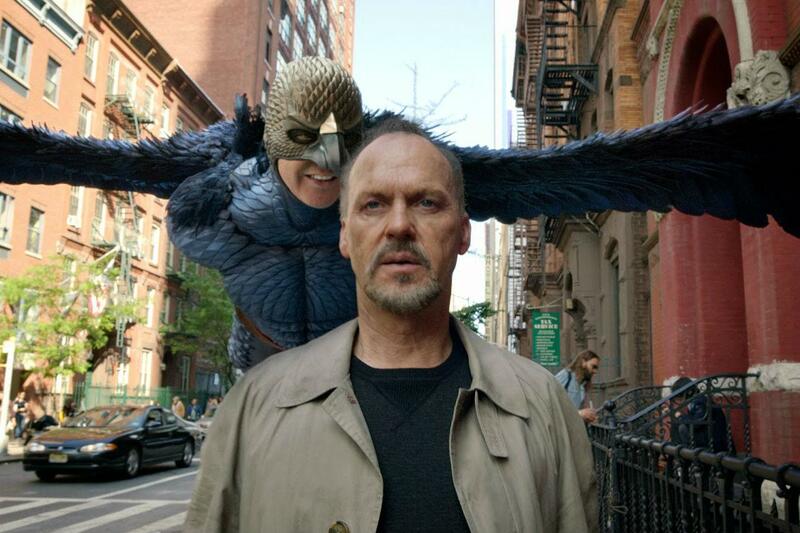 I wonder how Keaton got the part to play Vulture? I’ll ponder that thought. What Spiderman Homecoming nails is the performances more than anything else. Holland does nail portraying a teenage Peter Parker who does play it an overly optimistic way that is (somehow) charming. Keaton has a great scene stealer that gave me a hearty chuckle and works best when he plays detective more so than a villain. The newcomer Jacob Batalon who plays Ned, Peter’s best friend also surprised me as well. The second greatest thing about Spiderman Homecoming is the coming of age story that evolves throughout the second half. On paper, the story is standard and unoriginal but I loved the execution of it. Spiderman Homecoming is the old “If your nothing with X, then you are nothing without X” that places Parker as the awkward adolescent that fights with his overzealous ambitions that go with being an adolescent. My favorite moment in the story occours just before the “homecoming” in which Spiderman is tested, not on a ground of combat but on a ground of morals and choices. It is a relief that those moments are not overdone with the image of the hero looking down and reflecting on the suffering and/or injustice that is seen in too many superhero movies these days. There are little moments in Spiderman Homecoming that annoy me in which the story back peddles slightly. Moments of earned pathos and drama are unnecessarily cut off by a joke. It shows me that even great movies have safety nets, to which I want to go away. That being said, most of the jokes land when they are meant to. And yes, there are multiple action sequences that are entertaining but the most suspenseful one is set at the Washington Monument. I sometimes wonder how they filmmakers shoot these scenes sometimes. The ferry action sequence was decent, but the climatic fight on a plane nearly gave me seizures from lights flickering all over the place.